DAMIC is a direct search for DM using CCDs. The extremely low electronic readout noise on the CCDs allow us to set a very low threshold (< 100 eV) for DM detection. 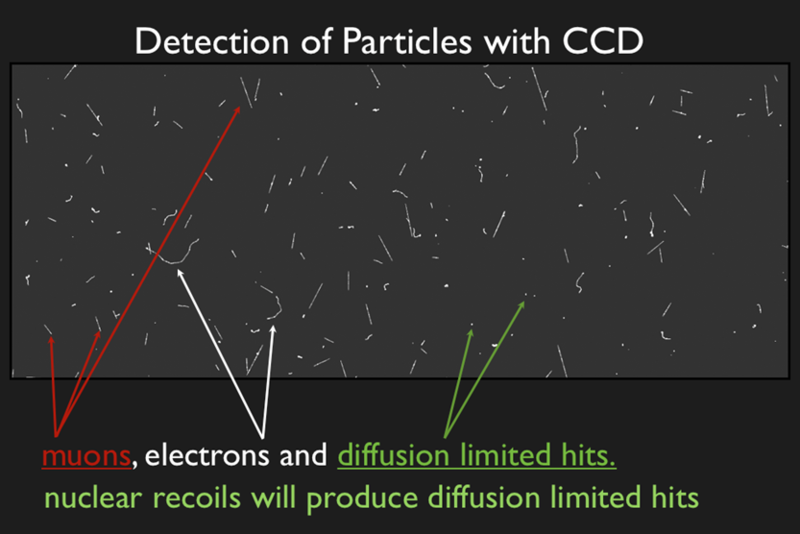 This low threshold is necessary when searching for a low mass DM particle, or other type of particles with interactions that produce only a small energy deposition on the detectors. For this experiment we are using 250 microns thick CCDs, that are fabricated in high resistivity silicon and can be fully depleted a low voltages (same CCDs used by the DECam imager). This project is possible at Fermilab thanks to the expertise developed with these detectors for DECam, and the collaboration with groups doing other DM searches in the lab.